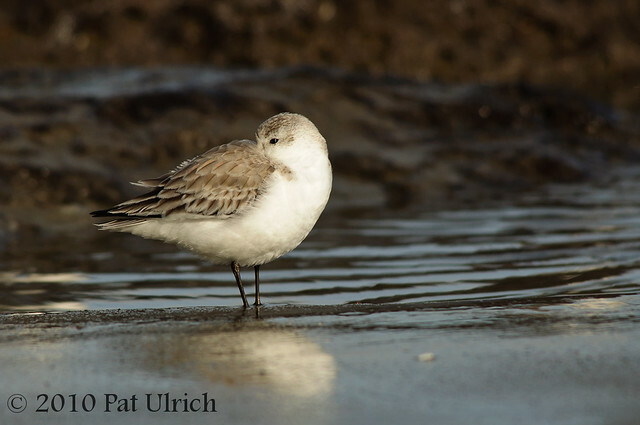 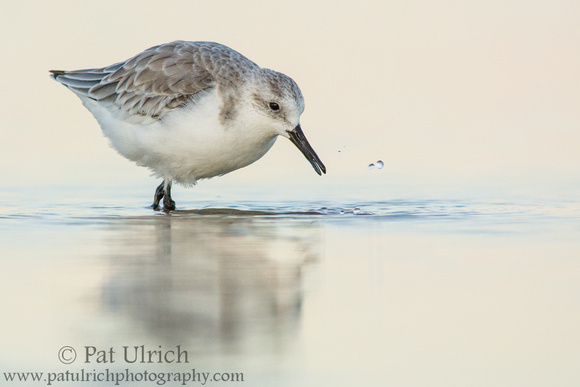 This trip to Parker River NWR in October 2014 was one of the most productive sandpiper encounters I've ever had. 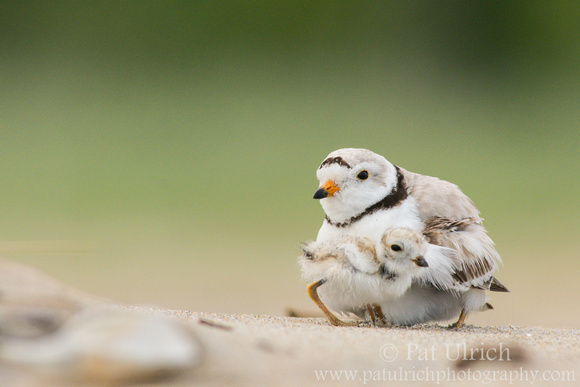 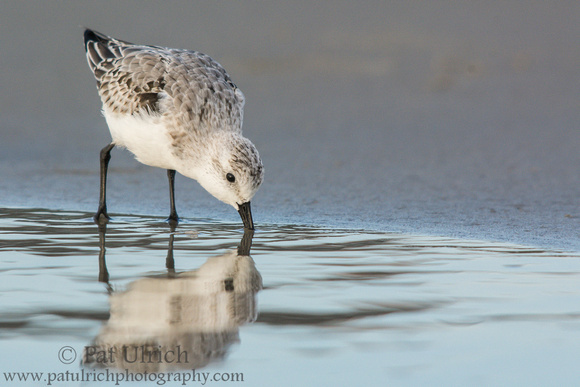 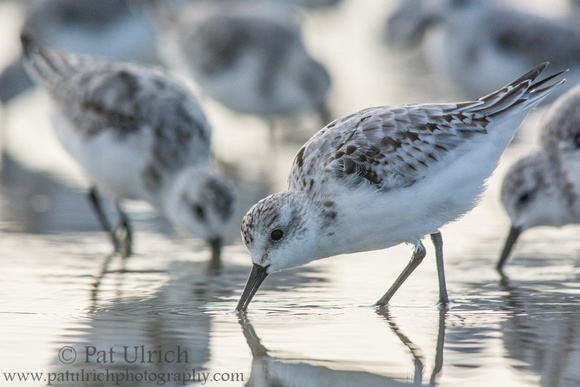 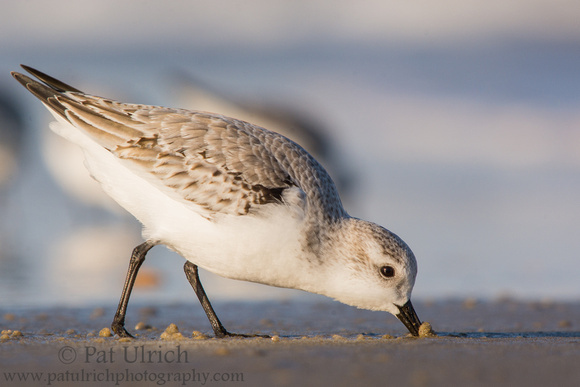 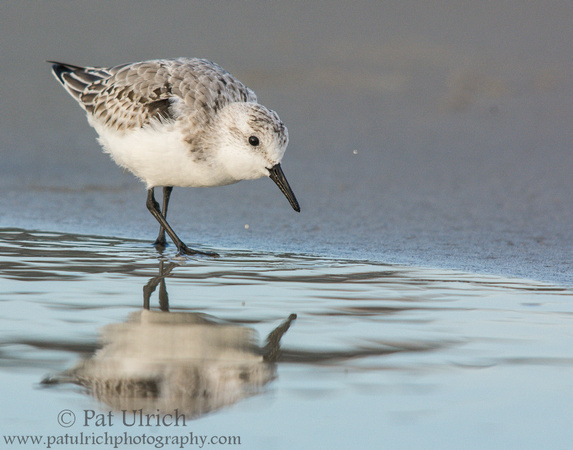 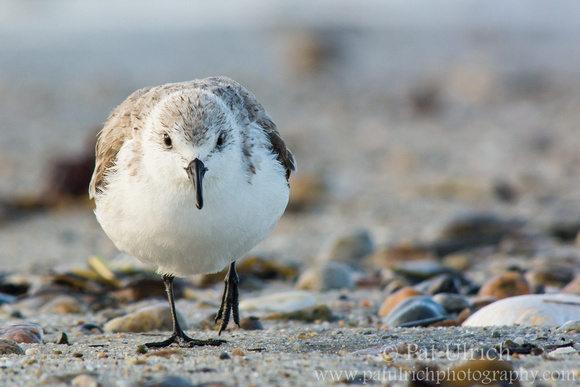 I came across a very friendly flock of sanderlings a little before sunset, and I stayed with them until it was too dark to shoot anymore. 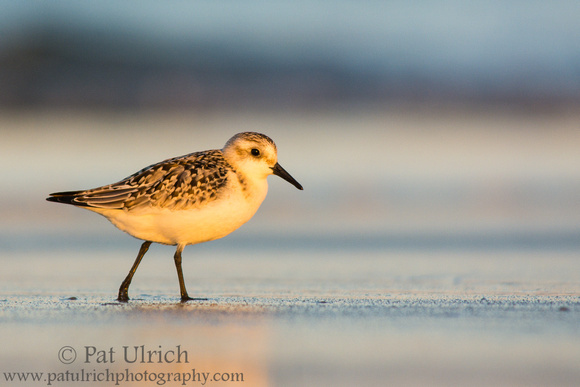 As they went through their evening rituals of feeding, preening, and bathing, the sun went from subtle warmth behind high clouds, to brilliantly golden as it slipped to the top of the dunes, to deep pastels as day faded into night. 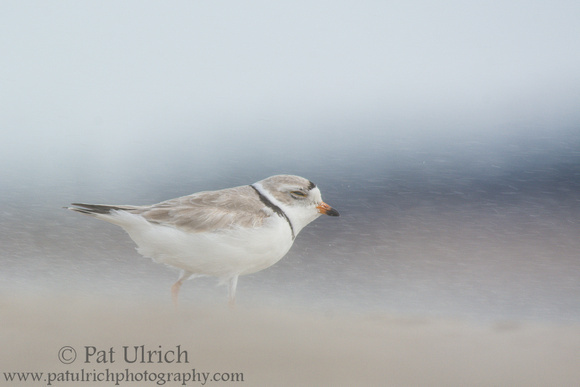 It was one of those encounters that left me feeling so connected to nature, one that in the moment you hope can last forever, but ultimately I had to force myself to slowly back away and head to the car as darkness spread over the beach. 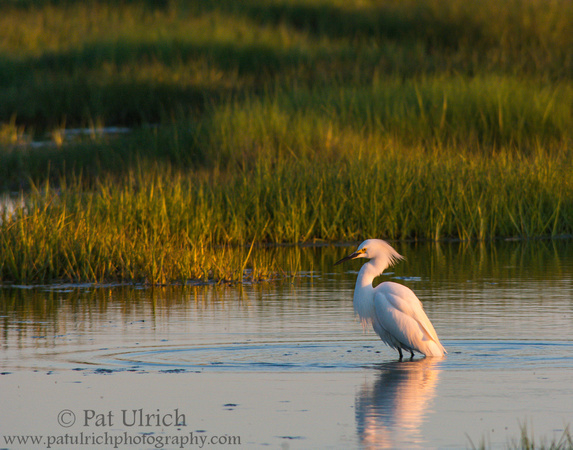 I'm always preferential to the sunrise when I have the chance, but last autumn I had a couple of really successful sunset trips in Parker River National Wildlife Refuge. 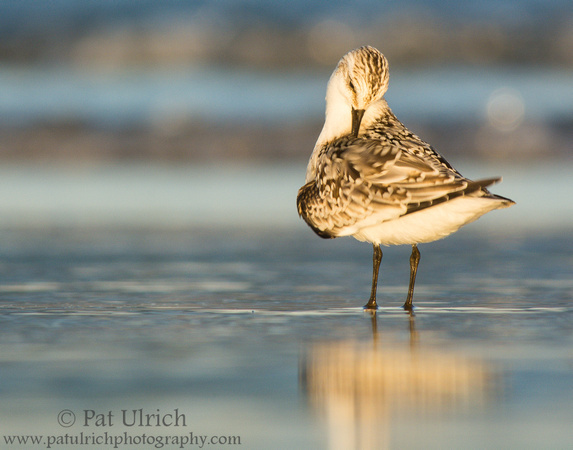 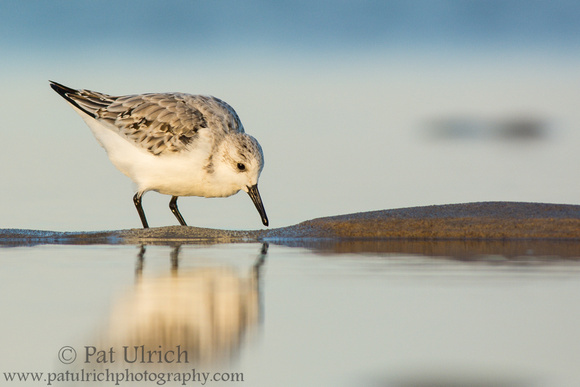 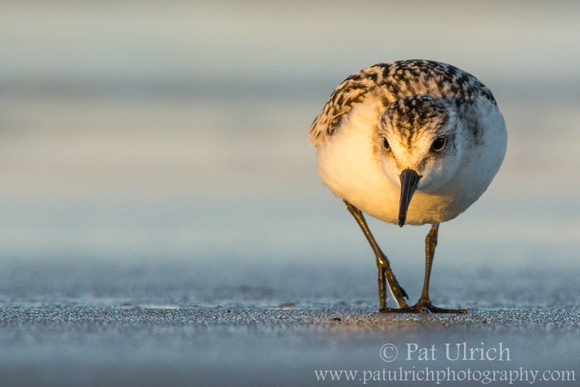 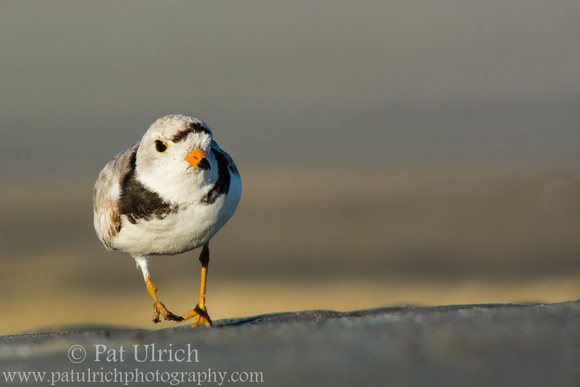 I spent about an hour working with a friendly flock of sandpipers at the Lot 7 beach in pleasant evening light, but as the sun prepared to slip behind the dunes this sandpiper really started glowing in the warm final rays.